The purpose of this page is to show a project sample of digital design. I drew this on an iPad, using my finger and a doodle app. 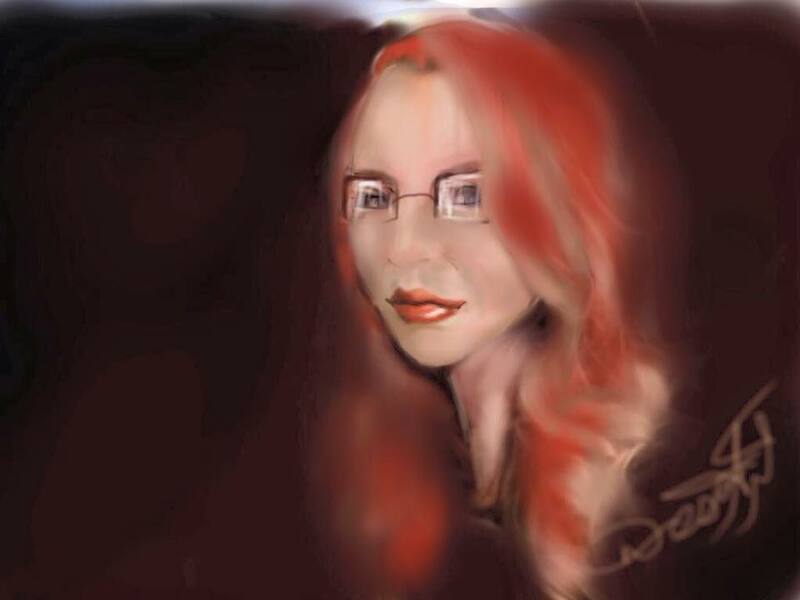 At the time, I had bright red hair and wireframe glasses. It's a simple piece, but one of my favorite digital renderings. I chose the faded black background to mimic early realism portraits. Most of those paintings either had one person faded into a dark background or an overly detailed setting in a room or landscape. The symbolist influence, incorporated naturalistic violet and green tones. Since I used only my finger and basic RGB colors, I chose to stick with black and a purple edging. I assumed these colors would print out nicely, if I ever chose to move the art onto a printed canvas. Please keep in mind, you need to be logged into facebook to click the more art button.